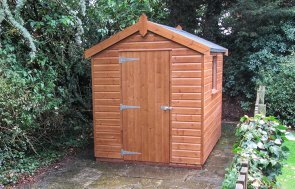 This customised Superior Shed was installed in Tamworth, Staffordshire, was chosen to become the new home for our customer’s model railway. 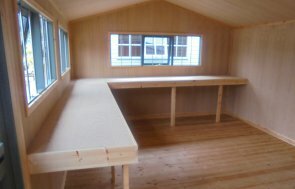 This garden shed design was unique, as we added a removable hatch, so that the customer could choose to let his trains travel through the garden, as well as inside the shed. Inside, the customer chose breathable paper lining, so that he can insulate the building himself later, together with an electric pack to power his trains. To keep the building’s contents safe, the customer opted for a security pack, which consists of a heavy duty sliding bolt and seven lever lock, security screws and window bars. All of our buildings are fully customisable to your exact requirements and benefit from free delivery and installation by our expert team as part of our end to end service. Request a callback from our team to discuss the options available or, alternatively, contact us or call us on 01760 444229.